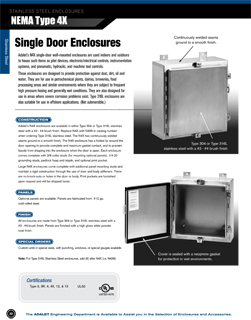 Adalet's N4X single door, wall-mount stainless enclosure can be used indoors or outdoors to house items such as pilot devices; electronic or electrical controls; instrumentation systems; and hydraulic, pnewmatic and machine tool controls. 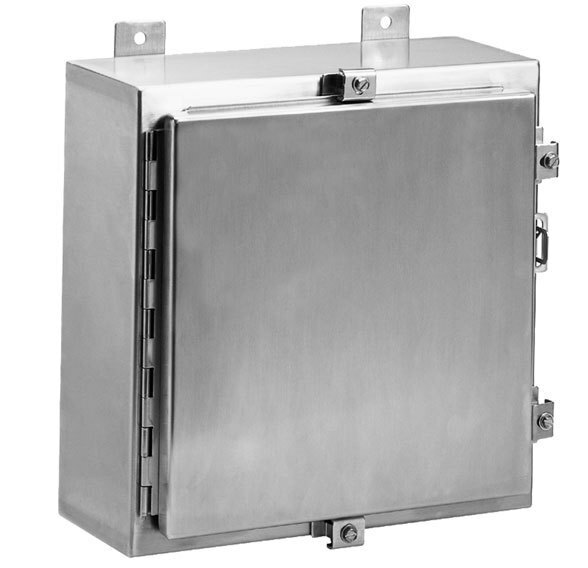 Designed to protect against dust, dirt, oil and water, these corrosion resistant electrical enclosures are ideal for petrochemical plants, dairies, breweries, food processing areas and similar environments where they can be subject to frequent high pressure hosing and generally wet conditions. • Environments where they can be subject to frequent high pressure hosing and generally wet conditions.